HOW DOES WATER ENTER MY BASEMENT? When your foundation is built, either through cinder blocks, stones, bricks, or concrete, there are waterproof properties that come with these materials. However after years of moisture sitting against that foundation there is a deterioration that starts to happen as the cement that is holding the foundation together begins to crumble, which then allows water to seep between the joints that hold it together. Or, in the case of a poured foundation, cracks start to form, which allows water to seep in. This process is sometimes sped up exponentially when a new home is built with bad materials or poor workmanship, which causes the foundation to crack prematurely. That, in turn, allows water to seep through. Houses are sometimes built within a high water table, which means without a proper waterproofing system the water surrounding the basement will enter through the space where the wall meets the floor, and also enter through cracks in the floor. Sometimes so much water pressure builds up under the floor that it makes the floor heave up, creating large cracks and bumps in the concrete. The technical term for this process is hydrostatic pressure. Water may also enter through a window, which has poor drainage, via the window well. Window wells have a drainage tube, which connects to the existing weeping tile system around the house. Sometimes these window well drains will get clogged with years of debris, and if combined with bad grading around the house which directs water towards your window, the window well will fill up like a bathtub. Water will enter through the window itself, causing a large amount of damage. It is very important to have your window wells checked by a specialist on a regular basis so that you protect your property from serious damage from this kind of source. WHAT IS THE DIFFERENCE BETWEEN EXTERIOR AND INTERIOR WATERPROOFING? The main difference between these two procedures – exterior waterproofing stops any water from entering your basement from the outside, allowing the basement to feel dryer, as there isn’t any moisture within the foundation walls. The disadvantage of exterior waterproofing is that it costs a considerable amount more than the interior option. Also the exterior option is not always possible due to tight spaces between homes and extremely wet soil conditions, which makes it almost impossible to excavate safely. Interior waterproofing stops the water after it has entered into the basement and is controlled through a series of membranes and weeping tiles that redirect that water away from the finished interior. The disadvantage to the interior waterproofing is that you are not addressing the problem at its source, but rather directing the water away after it has already entered the basement. The upside to interior waterproofing is that it costs a considerable amount less than the exterior option. WHY IS BASEMENT WATERPROOFING IMPORTANT? Basement waterproofing is a very important part of the maintenance of your home, which will likely be the biggest investment you make in your life. When a basement wall is neglected it can lead to a significant amount of damage. Walls can start to bow inwards, affecting the safety and structure of your home. Water builds up behind the walls and deteriorates the cement holding it together. As the years pass by and the wall becomes weaker, then the cement holding it all together begins to fail, which allows water to enter your home and cause damage. Thankfully all this can be prevented by simply waterproofing your foundation walls and making sure that you have proper drainage. A backflow preventer is a valve that protects the home from flooding, which is caused by the city sewer or storm line backing up into your home. These city sewers are sometimes overwhelmed with water from a storm, which the sewer lines cannot handle. As our climate changes, with more precipitation, these backflow preventers are an important part in protecting your home. Backflow preventers have a valve inside them that closes automatically as soon as the water from the city infrastructure system backs up, and will open again once the city line is clear. If a backflow preventer is installed then the downspouts around the home must be disconnected, because if the valve closes then the water will have nowhere to go but into your basement. It is also recommended that you install a sump pump when installing a backflow preventer – also known as a backwater valve. Essentially a sump pump is a pit within the home that collects all of the water that the weeping tile system collects, and then pumps the water outside with a mechanical pump to an area that is graded away from the foundation wall. Sump pumps are an important part of the protection of your home and it is highly recommended to have one installed if you have installed a backflow preventer. When your house was built the builder would have connected the weeping tile to the drainage system, which is a good way of dealing with water as long as the drainage system is in good working order. As storms get worse and the infrastructure of our cities deteriorates, then a better solution was needed to handle an increase in the amount of water building up. This is where the sump pump comes into play. A sump pump with a backflow preventer together will give you a huge advantage against flooding and a wet basement. WHAT HAPPENS TO MY SUMP PUMP IF THE POWER GOES OUT? This pump runs off a 12-volt battery, which is activated when the first pump fails to pump. It is always plugged into an outlet so that it is always charged and ready to work when needed. The average run time for a battery back-up pump is three hours of constant running, which could mean it can last you several days if it doesn’t have to pump too often – kind of like turning a flashlight on and off. The battery system also has a built-in alarm system which activates every time the battery pump has to pump. This is our favourite pump. You will need to have a 3/4″ inch waterline coming into your house for this pump to function properly. This powerful little pump can move approximately 1,324 gallons of water per hour and all without the use of any power source, as it only runs off the water pressure in your house. It has no time limit and can run as long as you don’t have any power in your home. This pump works like a water mill, and will go and go as long as the water is moving (water pressure). WHAT DO I NEED TO BE CAREFUL ABOUT REGARDING THE FLOOR DRAIN? A floor drain is installed usually in the basement to protect against flooding in the case of a water line bursting or hot water tank leaking. Floor drains are necessary to protect your basement, but they can also be the cause of flooding, as they are directly connected to the city’s sanitary sewer system. If a city sewer gets clogged, then the sewage would back up into your drainage system, and come out the floor drain. Also, sometimes people complain of a foul smell in the basement, and a lot of the time the source of this smell is the floor drain. A floor drain has a trap on it, which holds water, and occasionally the water that was sitting in the trap dries up, causing a foul smell to come up from the city sewer. A simple solution to this is to pour clean water into the drain and watch to see if it disappears. If the water stays then you are good to go, but if the water disappears then that means you have an issue and it’s time to call in the experts (us). All of these are excellent questions.  If you have any other questions then please feel free to give Canada Waterproofers Brampton a call and we will be more than happy to answer all of your questions and concerns. At Canada Waterproofers Brampton, our philosophy is “no job is too small or too big”. Every question is important, no matter how silly you may think it is to ask. Call us today.